German filmmaker Maren Ade likes to let her characters…. marinade. 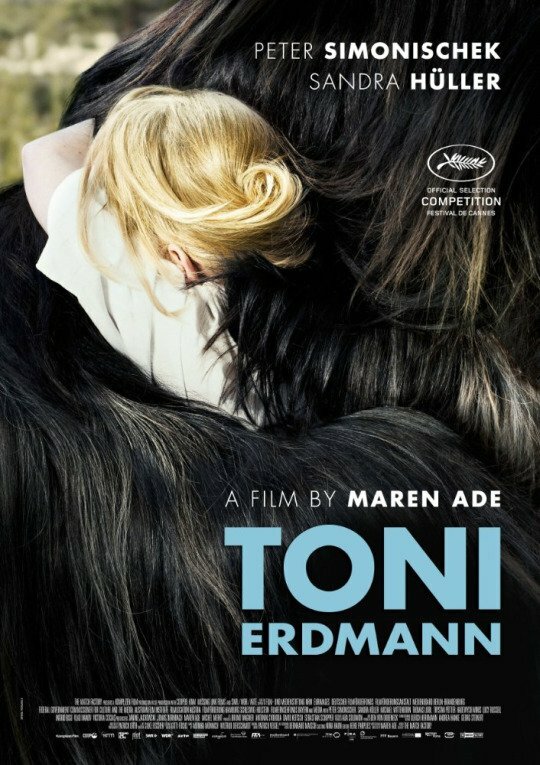 At nearly three hours, “Toni Erdmann” is something of an anomaly. An epic study in unabashed, arid humor, it debunks any notion that German comedy is an oxymoron. Maybe because it takes place in Romania. Did I mention that it’s almost three hours long? I was not familiar with writer/producer/director Ade until “Erdmann”. Peter Simonischek plays Winfried, a practical joking father who tries to resuscitate the tenuous relationship with workaholic daughter Ines (Sandra Hüller) via his titular alter ego. If dad jokes are embarrassing, then Simonischek is the Al Pacino of awkward, “Erdmann” the stonewashed jeans of films. Whoopee cushions, false teeth, wigs… the actor has it down to a science. With such props, the Erdmann character is too obvious to appear anything other than a gag…. you’d think. Ines is a consultant for a big oil firm, working in Bucharest with hopes of relocating to Singapore. She’s in the midst of securing an extension on their current contract, jumping on the grenade for CEO Henneberg (Michael Wittenborn) by proposing unpopular outsourcing solutions so that he doesn’t have to, when dad shows up unannounced. He’s as tender as veal compared to rigid Ines, an amicable teddy bear who quietly mourns the recent passing of his dog. Ines invites him along to a business event, with specific instructions on what he can and cannot say. It pains Winfried to watch his daughter cater to the chauvinistic oil mogul and his clueless trophy wife, an internal wincing that Simonischek somehow makes visible to his audience. Perhaps this justifies his wretched disguise. After all, dads do sometimes know best. Winfried pretends to leave after overstaying his welcome, but re-emerges in the Erdmann get-up when Ines is out to dinner with friends, pretending to be a life coach of a vague nature. Simonischek’s straight-faced commitment to the Erdmann ruse is so steadfast it’s painful. 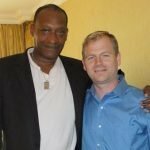 I believe it was Jim Carrey who once said that there’s a fine line between eye contact and the piercing stare of a psychopath; if I didn’t already know better, I might have thought a stalker movie was in the works. Somehow, though, the hulking Erdmann, with his Igor teeth and ridiculous toupee, manages to infiltrate Ines’ professional life, with good intent but nonetheless to its temporary detriment. Like the tide going out to reveal a hermit crab out of its shell, Ade’s finale exposes her characters literally and figuratively (Thomas Loibl is noteworthy as Ines’ deadpan boss, Gerald, likewise is Ingrid Bisu as her assistant). 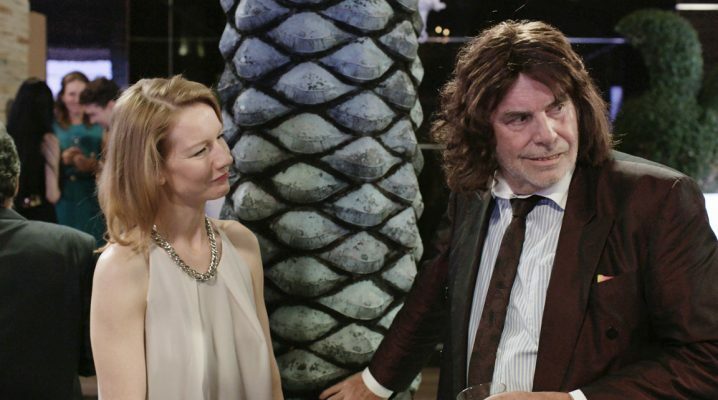 Despite what I’ve just described (and the manufactured flatulence),“Toni Erdmann” is about as far from slapstick as one could be without exiting the genre entirely. The pranks become part of this unusual bonding experience, the delicate and very strange evolution of a fractured father/daughter relationship.